When life has you down, pick up a cup of Extreme Expresso! It puts the jolt right back in you, and makes any day worth living again. 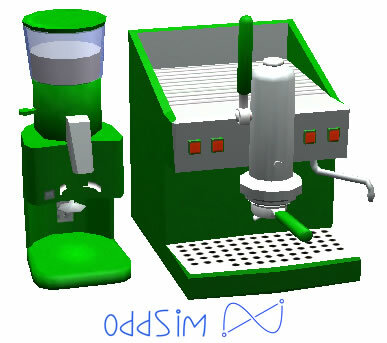 Use OddSim's Extreme Expresso Machine to max out the needs of one sim or all sims. 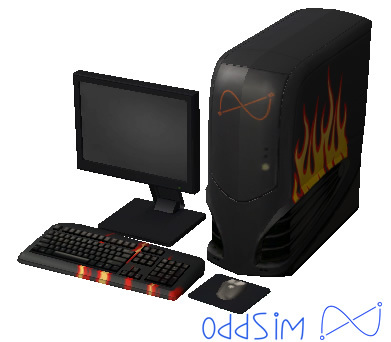 Also max out the asperation meter to platinum for one sim or all sims. Comes in three exiting colors: Giddy Green, Bristling Blue, and Raging Red! 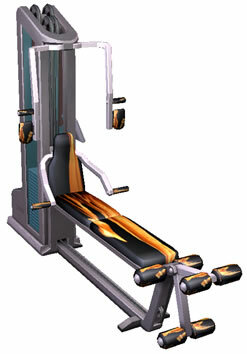 Make your sims feel the burn as they pump up their muscles and shed their weight. From the depths of brimstone this computing machine has risen as a hallmark of gaming. Others will take note as you blaze through your work and heat up the competition.